Increased physical coordination and muscular development. As children become more self aware, their physical bodies are aided by dance and movement, while playing musical instruments help to develop hand/eye coordination. Higher development of mental capacity for math and language. Being a language all in its own, music helps the brain develop the paths that increase the ability to understand mathematical concepts and to develop language comprehension. Higher levels of creativity. Music has been shown to encourage children to think creatively and promotes the use of an imaginary world. Increased understanding of emotional outlets. 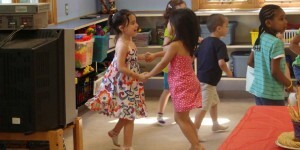 Children who engage in dance or play with music find acceptable outlets for tension and the expression of feelings.